For more than 40 years, Care Dimensions has been a driving force in expanding access to hospice and palliative care in Massachusetts. Built in 2005, the Chapel/Meditation Room at the Kaplan Family Hospice House in Danvers, MA is a private space for hospice patients, their family members, friends and guests. 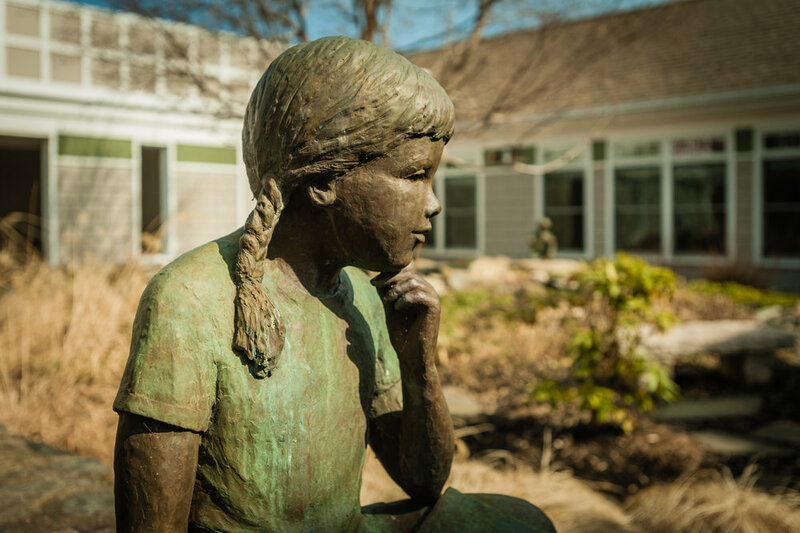 The Kaplan Family Hospice House is a program of Care Dimensions, a nonprofit and the largest provider of hospice services in Massachusetts, whose mission is to enrich the quality of life for those affected by life-limiting illness, death and loss. The Kaplan House offers a homelike alternative to hospitalization for hospice patients where they receive skilled care, comfort and emotional and spiritual support. Patient care is provided by a team of certified physicians, nurses, aides, social workers and chaplains—all with extensive end-of-life expertise. Care is enhanced by trained volunteers who help with activities. Complementary therapies are offered on-site including massage, Reiki, music and art therapy, and pet therapy. The Kaplan House Chapel is intended for any faith denomination and for quiet reflection for families and visitors. Features include: a circular stained glass window overlooking the peace/sculpture garden, a wall quilt - designed by hospice staff under the direction of renowned fabric artist Clara Wainwright, prayer rugs, knitted prayer squares, a remembrance book for family members and friends to reflect on their loved ones, a Prie-Dieu Kneeler, memory stones and sacred texts. Care Dimensions chaplains provide spiritual care and support to patients and families of all faiths and people of no faith. 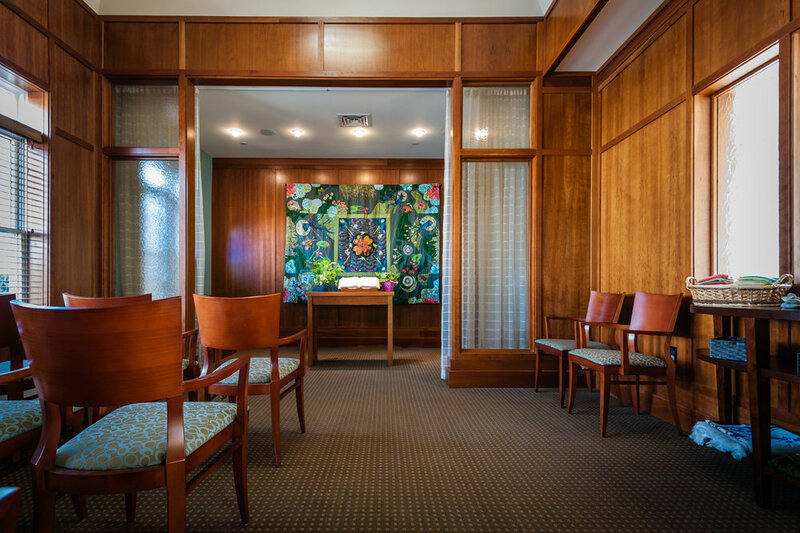 The Kaplan House Chapel is a gathering space for meditation and quiet contemplation, small patient/family services and patient/family commemorations. For more information about the Kaplan Family Hospice House visit www.CareDimensions.org.